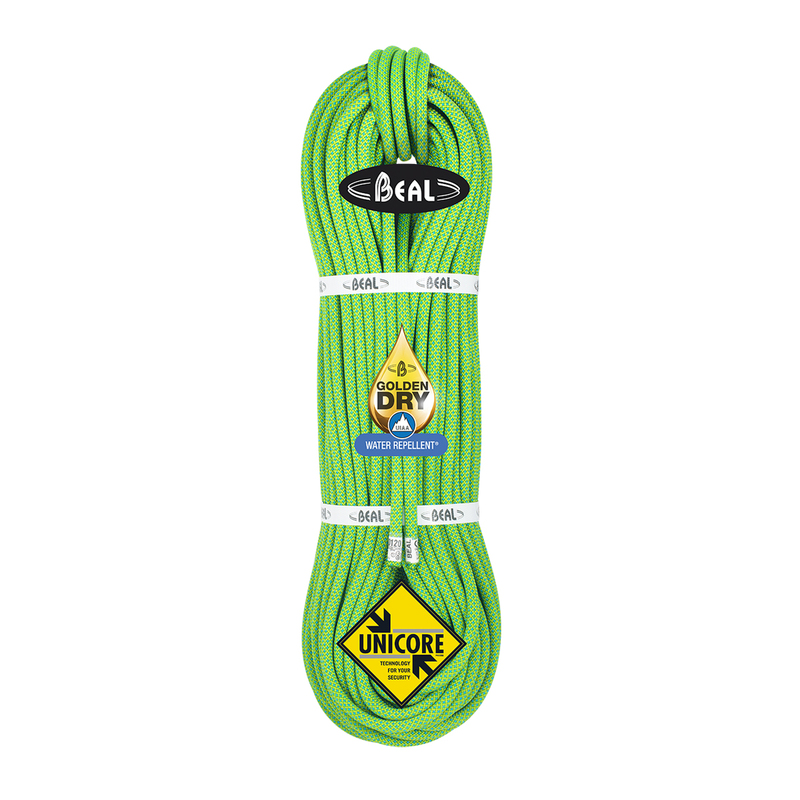 The Beal Opera 8.5mm Golden Dry is a top spec triple-certified climbing rope for advanced sport climbing, ice climbing and mountaineering that's fully equipped for extreme weather conditions. The Beal Opera 8.5mm Golden Dry is rated as a single, twin and double rope and offers on-point handling, minimal sheath slippage and superb weather protection thanks to Beal's unique Unicore construction and Golden Dry treatment. The Opera is also one of the lightest triple-certified ropes on the market, weighing in at only 47g per metre and making it a true multi-discipline rope for the expert climber.